Look, people behind The Muppets sequel, you can stop already. You already have The Muppets in it, which is enough. Plus, there will be singing, which is awesome. Now comes word that we may trade Jason Segel for Ricky Gervais. That’s like saying, “I’m sorry, we’re totally out of jet packs to rent, would you like this rocket ship?” The only sad thing is that Ty Burrell has the role that was going to go to Christoph Waltz. Because Gervais squaring off against Waltz while Muppets look on is one of my fantasies. 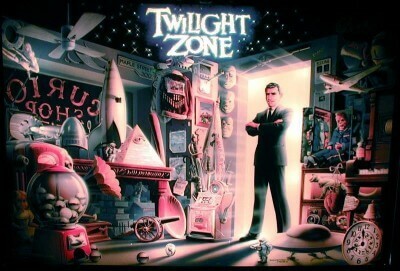 Although Warner Bros. is still planning a movie, CBS is going to go ahead and make a new “Twilight Zone” TV show. This is only the most awesome news ever, as the anthology format doesn’t work for a feature-length film but is perfect for television. The amount of writers who could contribute to this series, which will be produced by Bryan Singer, is mind boggling. I mean, just look at all the amazing talent who write for “Doctor Who” (the best television shows in the history of shows, television and things that are “best”). It’s been too long since a sci-fi anthology show was on our airwaves, and if CBS needs to make room, they could consider every other show they currently air because they are all wretched.